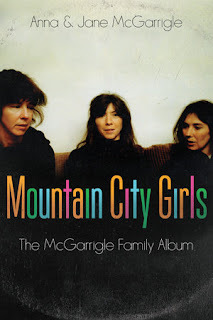 Critics have called Mountain City Girls, the first memoir by Canadian musicians Jane and Anna McGarrigle, a tribute to their younger sister Kate, who died of a rare form of cancer in 2010. However, the intimate and witty book is equally an ode to the trio's unconventional parents, Frank and Gaby, and the many other memorable ancestors who came before them. For those unfamiliar, Anna and Kate McGarrigle formed an award-winning folk duo that inhabit an important space in Canadian music history. Their older sister Jane was integral to their success, managing their careers in the late 1970s to 1990s, a time in which she was a co-collaborator on and off the stage. A younger generation of Canadian music fans might know the McGarrigles as famous kin to Rufus and Martha Wainwright (Kate was their mother). However, Mountain City Girls isn't a music memoir. Rather, it's an affectionate look at the sisters' upbringing in a one-and-a-half storey white board and batten cottage in the small Laurentian town of Saint Sauveur in the middle of the 20th century. It's a coming-of-age story that doesn't take readers beyond Kate and Anna's burgeoning career as folk musicians. In fact, it ends right where a biographer might begin, around 1975, shortly after Kate and Jane signed a record contract with Warner Brothers. The idea for Mountain City Girls was born in 2012 when an on-stage conversation that included both Anna and Canadian literature icon Michael Ondaatje strayed to the subject of eccentric relatives and "how they unwittingly contribute to the creative process." Ondaatje's editor, Louise Dennys, was in the audience and encouraged Anna to write her stories down, but Anna wasn't interested in writing a book alone. 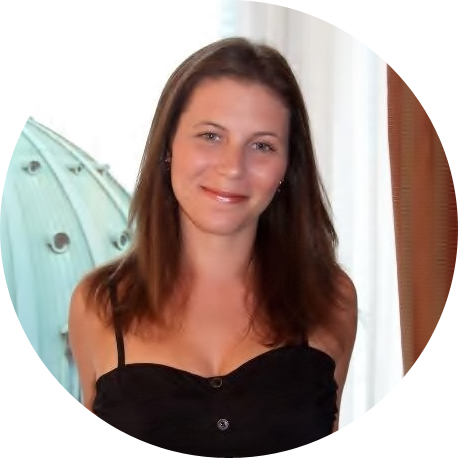 She enlisted her sister Jane, a "closet writer." "For two and a half years we conjured up the sad and happy past, warmed by the gas fireplace in my sister's dark cozy living room, missing one deadline because we couldn't let go of the past," writes Anna on the McGarrigle's website. Interspersed with lyrics and photos, Mountain City Girls begins in the 1890s with a quirky cast of ancestors. "Before there were Kate, Anna, and Jane, there were Frank and Gaby, our parents, and before them, an assortment of memorable characters who created a powerful narrative that affected us in a very personal way," write Anna and Jane in the book's preface. Among these ancestors were an uncle who died at Passchendaele, a grandfather who was a pioneer film exhibitor, and another grandfather who "rode around on a city bus with a pig's head in an old valise." The result of Anna and Jane's labour of love is a memoir characterized by one-of-a-kind stories and impeccable attention to detail, right down to the meals mother Gaby prepared for her rambunctious brood: baked green rice, curried eggs, Harvard beets, creamed finnan haddie, and various organ meats in sauce. The McGarrigle's childhood was idyllic. "In summertime, we fished, rode our bikes, swam in a lake up the road, shot BB guns at tin cans up in the hills, made trinkets with the birchbark we peeled from trees," writes Jane. The sisters pranked neighbours and trudged to school in knee-deep show. "We Laurentian kids were a hardy lot." Though Mountain City Girls is the story of the five strong characters who make up the McGarrigle family, there's a hearty sixth character with equal strength: Music. "Music was our father's abiding passion. Only someone who lived with him could grasp how completely it engaged him," write Anna and Jane who recall with fondness his eclectic collection of instruments, among them a Steinway, harmonium guitar, ukulele, ban uke, piano-accordion and a zither. "Our father, whose musicality we inherited, didn't think there was much of a future to be had in music, or at least in show business." Yet, it is "unutterably sad" that Frank didn't live long enough to see how far Kate and Anna took their music careers, the sisters say in an especially poignant moment. Instead of pooling together their memories, Jane and Anna share their recollections by penning separate segments that often contradict one another, in true sibling fashion. Some of the book's most memorable scenes show readers the many ways in which the McGarrigle sisters collided with history. Anna tagged along to Lennon's bed-in at the Queen Elizabeth Hotel in Montreal, pretending to be a photographer. Jane was ushered through the gates of the Altamont Speedway with a few dozen bikers before the infamous moment in rock and roll history when a Hells Angel killed a fan at a Rolling Stones concert. Jane and Anna's greatest talent is for characterizing those who are no longer in their lives with insight and warmth, celebrating equally their flaws and triumphs. This is especially true of Kate, who had a reputation "as an outspoken if outrageous character — even at an early age." Mountain City Girls is rich and colourful, but mostly, it's conversational, reading like a finely tuned diary or journal. It is seemingly written not to be a bestseller, but as a family treasure that will preserve the McGarrigle's storied history for future generations. "We can only hope that by writing down the family stories, we will be provided with enough protection from our own ghosts," write Jane and Anna in the book's epilogue. It's a fitting end to a book so full of insight and memorable tales that readers can't help but hope there's a sequel. I want many of the reviews, Choose truly loved, We would like addiitional info over it. Instead of pooling together their memories, Jane and Anna share their recollections by penning separate segments that often contradict one another, in true sibling fashion.